Thank you for visiting our website. 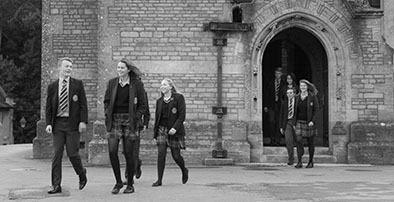 If you continue to use and browse our website you are agreeing to comply with, and be bound by, the terms and conditions of use of Kingham Hill School’s website, www.kinghamhill.org.uk The term ‘Kingham Hill School’, ‘us’, ‘we’ or ‘the School’ refers to the owner of the website Kingham Hill School, and Kingham Hill Trust, registered charity number 1076618. The term ‘you’ refers to the user or viewer of the website. We may revise the terms and conditions at any time by amending this page, please visit it from time to time to take notice of any changes are they are binding upon you. To contact us, please email the Webmaster. Whilst we make every effort to keep our website up and running as smoothly as possible, Kingham Hill School does not guarantee or accept any liability that our site, or any content on it, will always be available or be uninterrupted due to technical issues beyond our control. This website contains material which is owned by or licensed to us. This material includes, but is not limited to, the design, layout, look, appearance and graphics including the school logo, name: Kingham Hill School and crest. Reproduction is prohibited unless express permission is granted by the School. All trademarks reproduced in this website, which are not the property of, or licensed to the operator, are acknowledged and approved by the owners prior to use on the website. Users may print or download to a local hard disk extracts of our website for your personal and non-commercial use only. You may not alter, amend paper or digital copies of any materials you have printed off or downloaded in any way, and you must not use any illustrations, photographs, video, audio or school names or logos. You may link to our home page, provided that you do not damage our reputation or take advantage of it. You should not suggest any form of association or endorsement by the School where none exists. Only Kingham Hill School staff or our website provider have permission to modify our site. Attempting to modify, damage or compromise our site in any way is strictly forbidden and may be subject to legal action. We reserve the right to remove any links to our site without notice. Through this website you are able to link to other websites which are not under the control of Kingham Hill School. We have no control over the nature, content and availability of those sites. The inclusion of any links does not necessarily imply a recommendation or endorse the views expressed within them. Thank you for using our site, if you would like to provide feedback, please contact the Webmaster.